Profile management software can be used to easily and effectively manage clubs, leagues, teams, groups and societies. Group information manager program is affordable tool that is capable of recording enhanced and detailed user instructions. 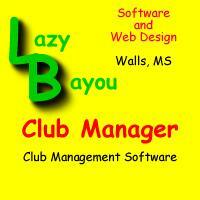 Club management utility can be operated easily by any technical or non technical user. ...... with dues amounts, payment types and more. Club team manager tool is the best membership management application for managing small country clubs, sports leagues, teams and groups. Member profile manager application can be run on all major versions of windows operating systems. Qweas is providing links to Group Management Program 4.0.0 as a courtesy, and makes no representations regarding Group Management Program or any other applications or any information related thereto. Any questions, complaints or claims regarding this application Group Management Program 4.0.0 must be directed to the appropriate software vendor. You may click the publisher link of Group Management Program on the top of this page to get more details about the vendor.